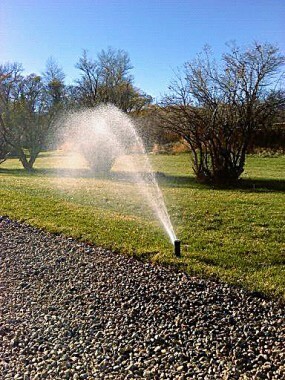 Sprinkler systems allow for efficient and hassle free watering of your lawn and landscape. We design the system to adequately water the different components of your landscape from lawns to planting beds to gardens. Consideration is given in the layout of the sprinkler system for future expansion, as well as ease of maintenance. Features such as rain sensors, soil moisture sensors, and smart controllers that automatically adjust watering schedules can be a part of the sprinkler system for water conservation. We provide service work and maintenance on sprinkler systems, and all of our installations are guaranteed for four years.